Sidney Crosby and Evgeni Malkin capped the regular season in style Saturday night. Crosby pushed his NHL-leading points total to 120 with a pair of assists against the Rangers. Meanwhile, Malkin wrapped up the year leading all rookies in scoring with 85 points. The last NHL team to finish a season with the overall points leader and the rookie points leader was 1959-60 Blackhawks. Bobby Hull won the Art Ross Trophy and Bill Hay led all rookies in points. Crosby, who tallied 102 points last year as a rookie, finished the 2006-07 regular season with 36 goals and 84 assists in 79 games. At only 19, he will become the youngest player in NHL history to win the Art Ross Trophy as the scoring champion. It marks the 12th time in the past 19 season that a Penguins player has won the award. Crosby beat San Jose’s Joe Thornton, who finished with 114 points (22+92) in 82 games. 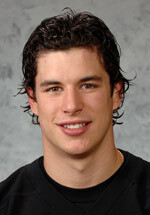 And, Crosby is the youngest scoring champion in any major professional sport. 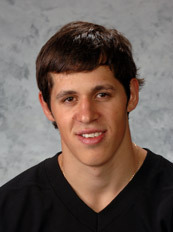 Meanwhile, Malkin tallied 33 goals and 52 assists in 78 games to win the rookie scoring title. Colorado’s Paul Stastny was second with 78 points (28+50) in 82 games.